What happened to just drinking water? Now it’s all you can do to avoid the numerous beverage options smacking you in the face at any local grocery store and about 90% of them are horrible for your body. Type 2 diabetes in children is on the rise, fueled largely by the obesity epidemic. Adults are in the same boat here in regards to all of the risks associated with guzzling these useless drinks. Kids learn by example and model their behavior to what adults around them are doing. If they see you leave for work in the morning downing a monster energy drink or a coffee with 12 sugar packets then maybe that’s what they eventually think they need to tackle the day. 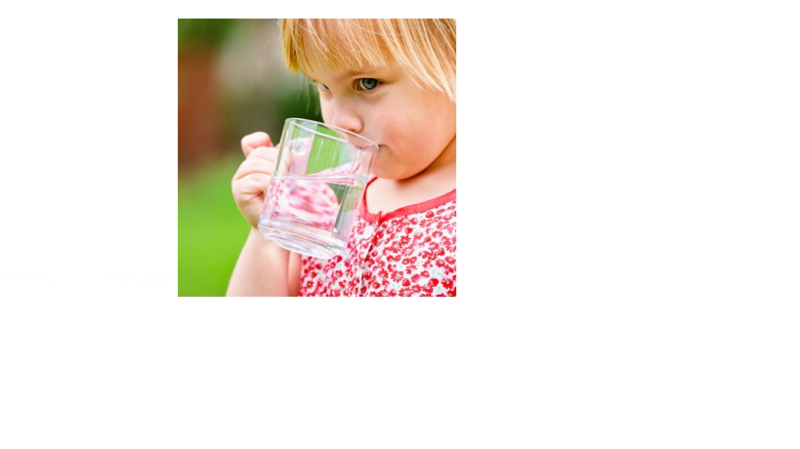 Teach your kids to drink water because it truly is the only form of liquid that we as humans cannot survive without. We will not in fact die if we don’t have a rockstar energy drink every day! Good timing for me! I have a 3 & 4 yr. old visiting this weekend & was pondering on a healthy drink to give them. Could this suggestion be any more basic, healthy & price friendly!? Great for all age groups! Thanks! Previous Meatless Monday! Mac & Cheese Please!